Clermontia kakeana is still a fairly common lobeliad. Except on O’ahu; it is not easy to see on pretty much any trail here. Tantalus has a fairly healthy population of it. I’d like to think we at the Manoa Cliff restoration have done our darnedest to keep it that way. There were a couple plants that died a few years back that I wish I got more fruit from. Every time I checked before, they never had any fruit. It was disappointing that the last time I checked they were just skeletons for plants. While we do have some representation from those plants, I had always hoped to have more. And it turns out, tucked in the back of our colleague’s refrigerator was a little bag of seeds collected from those very plants. From 2010 though. I was skeptical that those 5 year old seeds would germinate, but imagine my surprise when I saw this. There’s “plants vs. zombies” and then there’s zombie plant. Score 1 (more like a few hundred) for team lobeliad! 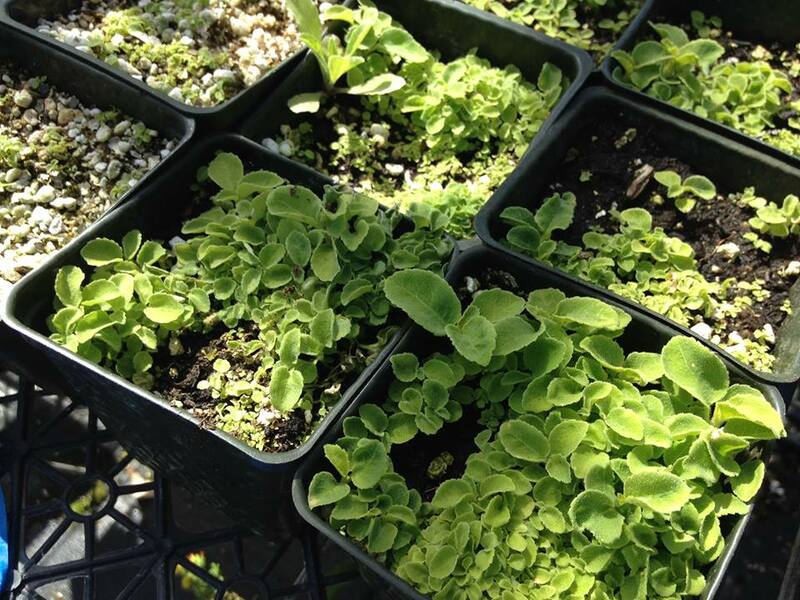 Spot the different Rollandia species of Konahuanui! 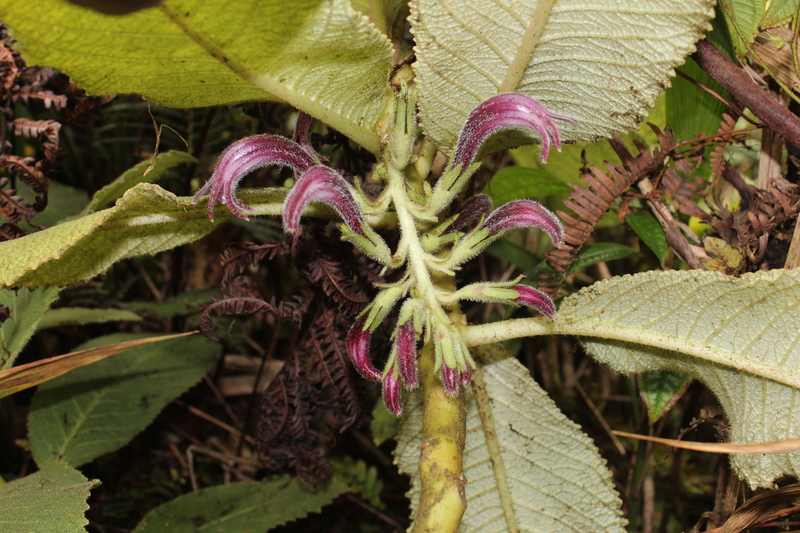 So, this new species Cyanea konahuanuiensis (Haha mili’ohu), how does it look different from other Cyanea spp? There are actually a few species of Cyanea spp. that live in the same general area as haha mili’ohu. Let’s take a look. The top picture is Cyanea humboltdiana the bottom is said C. konahuanuiensis. 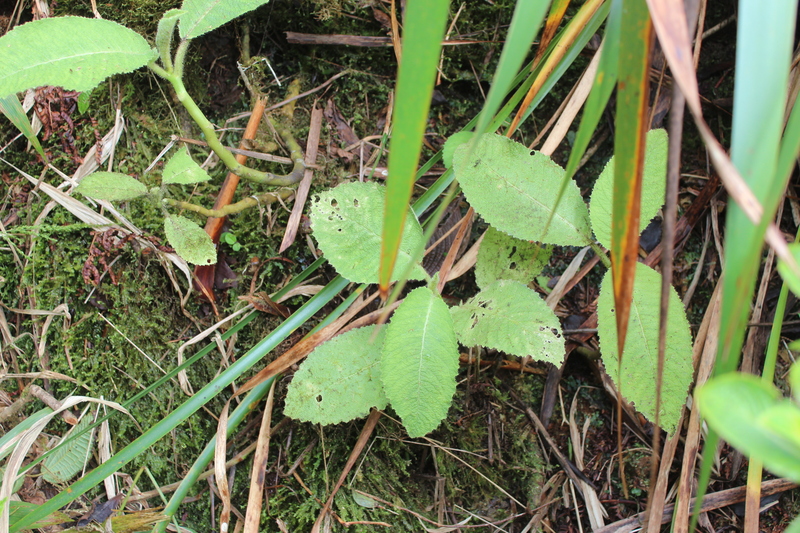 Incidentally, these two are definitely sympatric, the 2 plants themselves are a few hundred feet from each other. Again, top is C. humboldtiana, bottom is Haha mili’ohu. 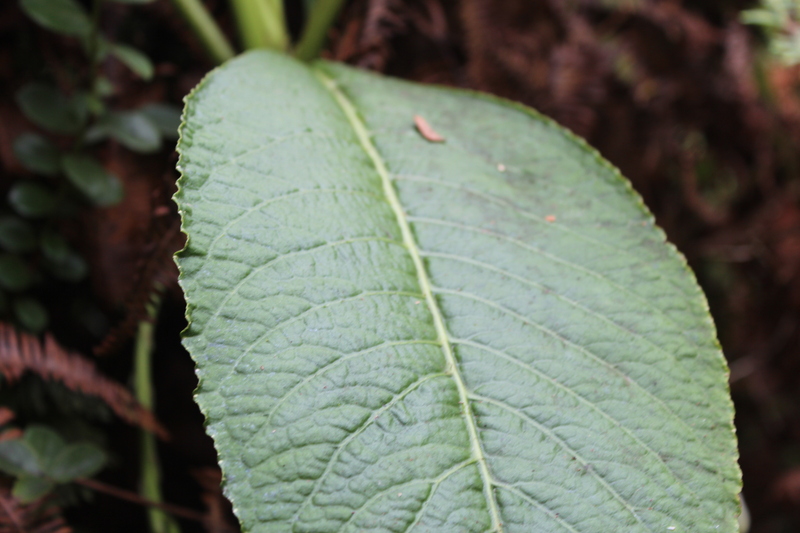 Notice how much more hairy the leaves of haha mili’ohu are compared to C. humboldtiana. As you can see above, both surfaces are quite hairy. There is a lot going on here. Both species have long, pendulous infloresences, but again C. konahuanuiensis‘ entire floral structure is much hairier than C. humboldtiana. As for the flowers themselves, notice too how much larger the calyx (the triangular petals surrounding the colorful flower) are on haha mili’ohu than C. humboldtiana. Even the keiki look different! 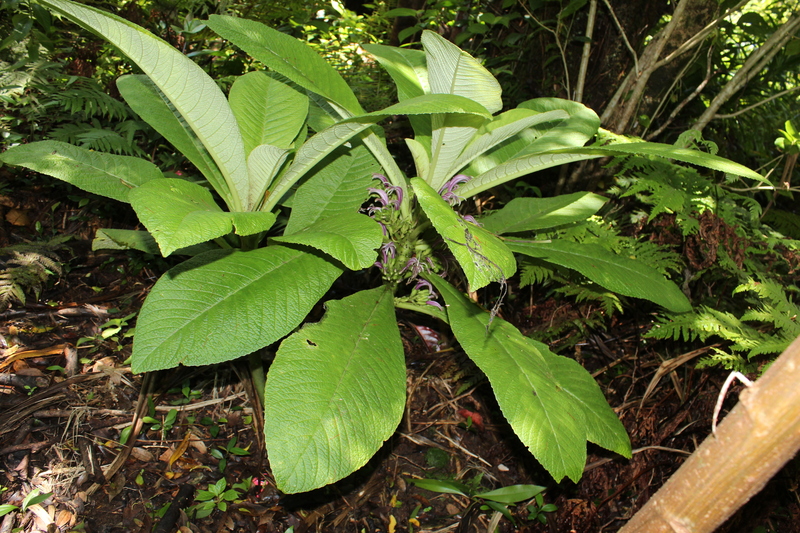 And there are more Cyanea spp, specifically in the Rollandia radiation, that live in the general area. This Cyanea calycina is maybe a quarter mile away. 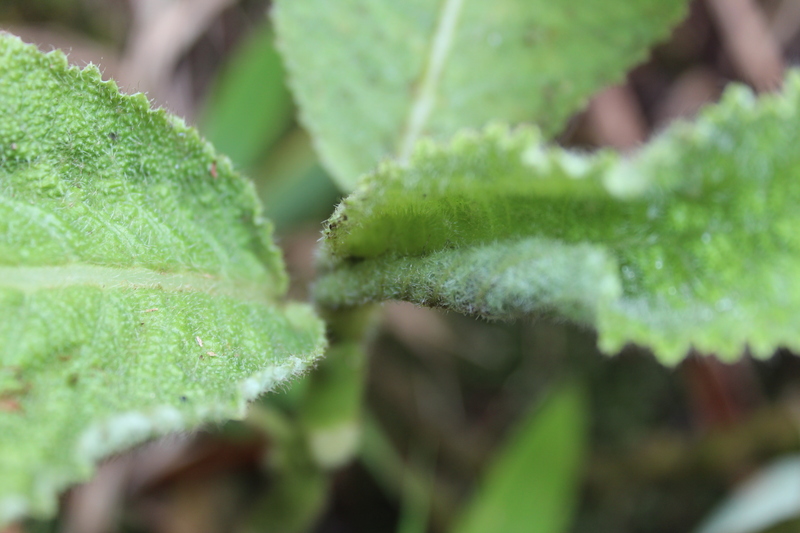 The leaves and flowers are not as hairy, floral structure is shorter and less droopy, and calyx are chunkier. 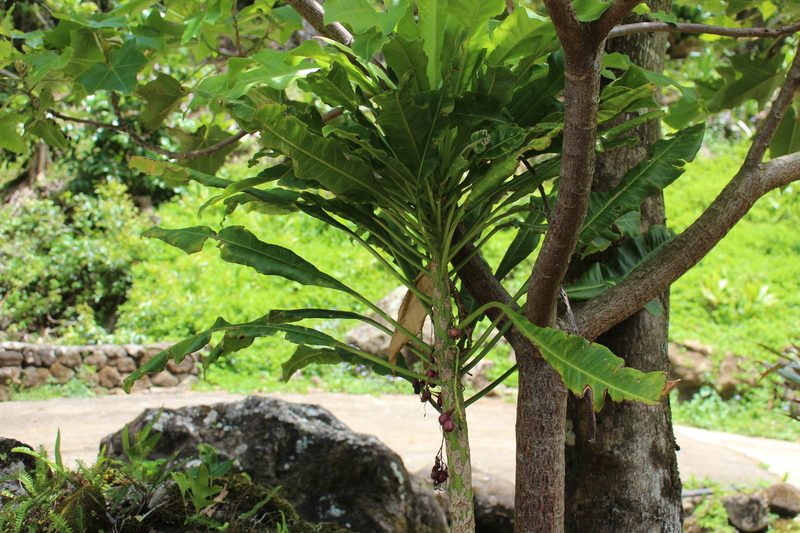 This Cyanea koolauensis too is roughly a quarter mile away. 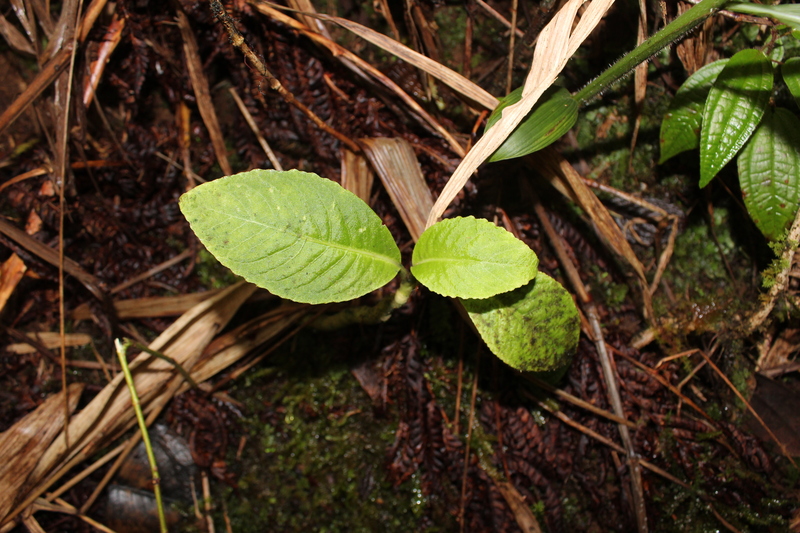 Its leaves are much more glabrous and a lot skinnier. 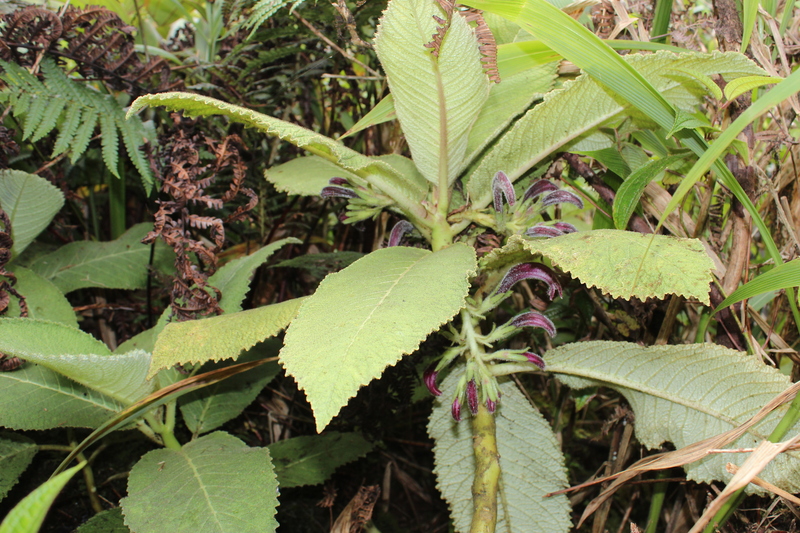 And Cyanea crispa is found nearby too. 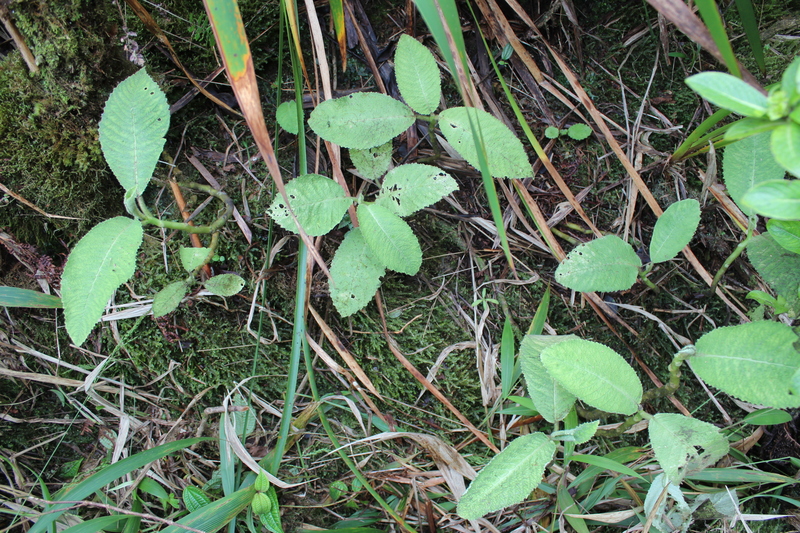 Leaves can get much, much larger on C. crispa vs. C. konahuanuiensis. And again, the entire floral structure is very different. So I changed up the format for my next post in the lobelia series. 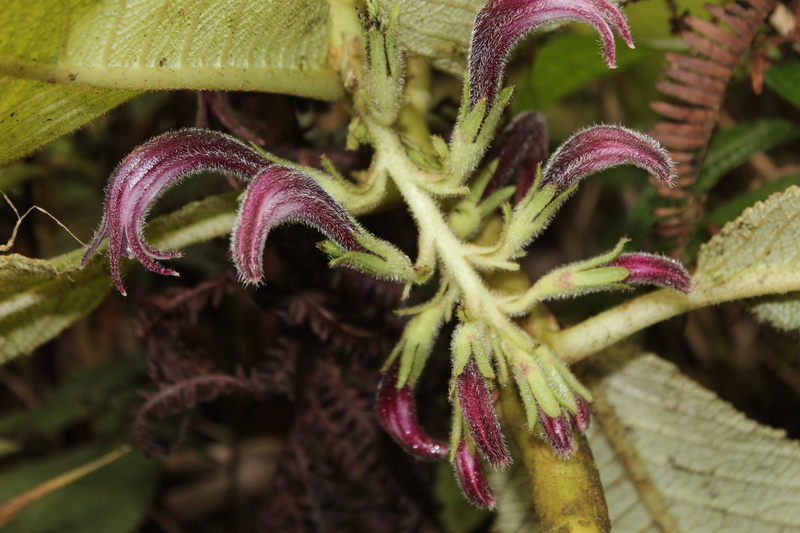 For how can it be normal; Cyanea konahuanuiensis is a species brand new to science that I helped describe! I’m not going to rehash everything, that is what the paper is for. But I’ve always had this romantic image of what discovering a new species would be like. That of the pith-helmeted naturalist with a well-waxed mustache hacking his way through malaria infested swamps. Imagine the naturalist pushes aside a man-sized frond to encounter a quiet glade. His heart skips a beat. In the center of this opening, with a solitary beam of dappled sunlight shining on it, is some unknown wonder of nature. (In my daydream it’s a giant ground sloth!) Our intrepid naturalist feels vindicated and cannot wait to tell his benefactors back home what he has discovered. Real scientific discovery is pretty far from that fiction. 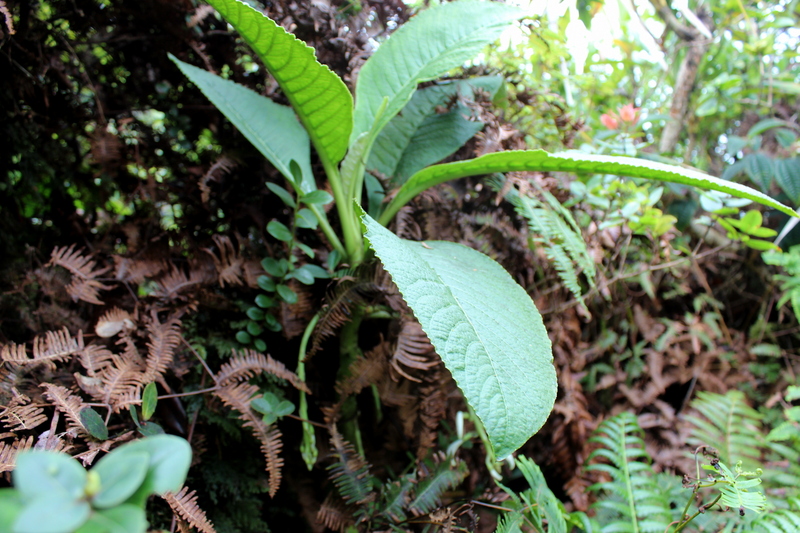 For one, I first met C. konahuanuiensis on one of the soggiest, chilliest hikes I had ever been on! And two, scientific discovery is more than just saying “Hmm, I think you’re something new!”, posting a picture on the interwebs, and have everyone congratulating you on a job well done. I didn’t know it at the time, but it was the start of a 2+ year process to formally describe the species. But I must say, I feel pretty proud of my small part in all of this. I’d imagine it is more so for the rest of the team who really put the effort behind all of i: Maggie, Adam, Mashuri & Tobias. I tip my cap to you folks. 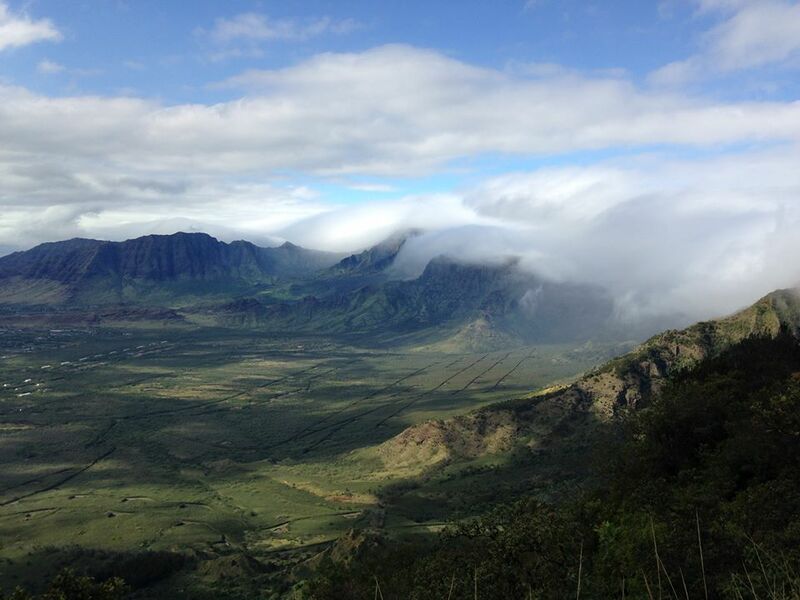 If there is one thing that people take from this, it is the importance of biological surveying here in Hawai’i. Species have been discovered and more commonly rediscovered here with surprising regularity. 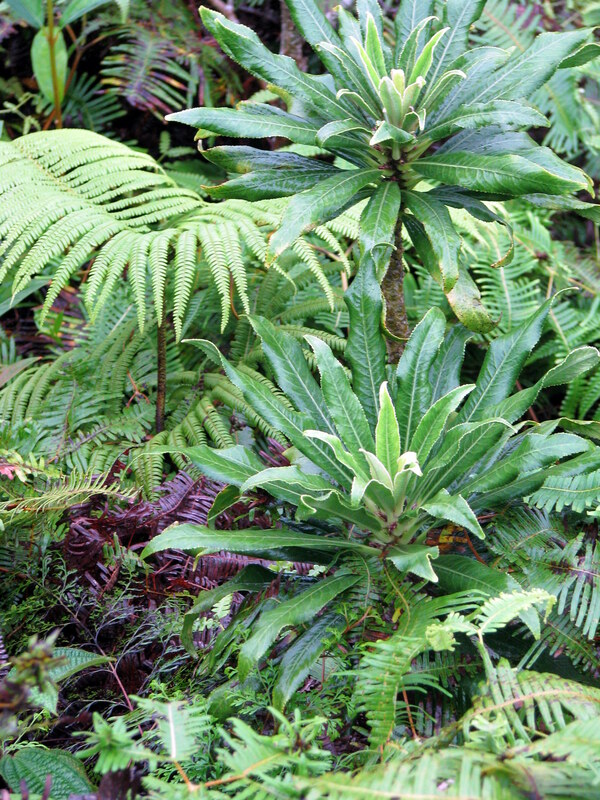 With all the detrimental environmental impacts occurring in Hawai’i, some of these plants could go extinct before we even knew they were there. Phylogenetic comments: Cyanea konahuanuiensis is a newly described species that shares the staminal column adnation to the corolla with other members of the Rollandia radiation within the Acuminata clade. But, of course, more genetic work needs to be done. We tend to look at islands like Hawai’i or New Zealand or Madagascar for extreme examples of adaptive radiation. But of course, they are not the only places to see this. Take, for example, this picture I took at the Lincoln Park Zoo in Chicago. What may look like some strange cross between a deer and a rabbit is actually a type of rodent. 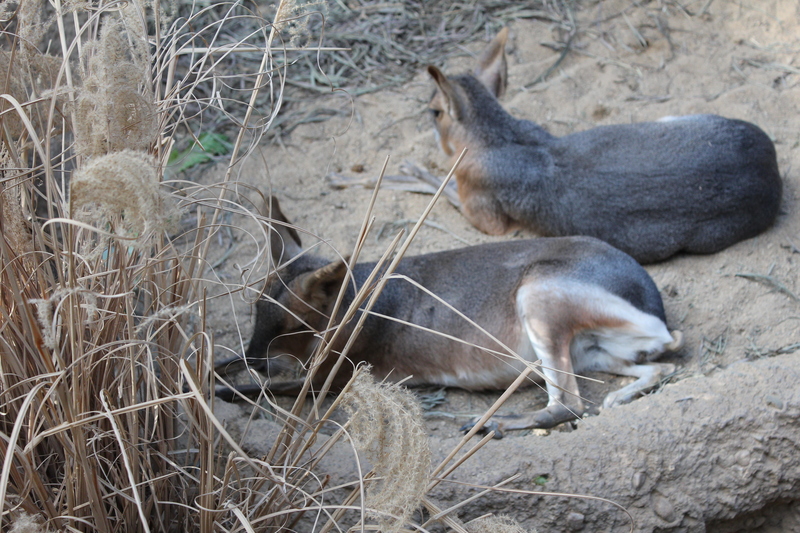 Patagonian Mara (Dolichotis patagonum) are part of the cavimorph radiation of rodents mainly centering in South America. One of the most familiar to the general public is the Guinea Pig (Cavia porcellus). Perhaps colonizing South America sometime in the late Eocene/ early Oligocene, cavimorphs evolved into many spectacular forms. Unlike many rodents, Mara are monogamous, active during the day, and eat grasses out on the open plain. 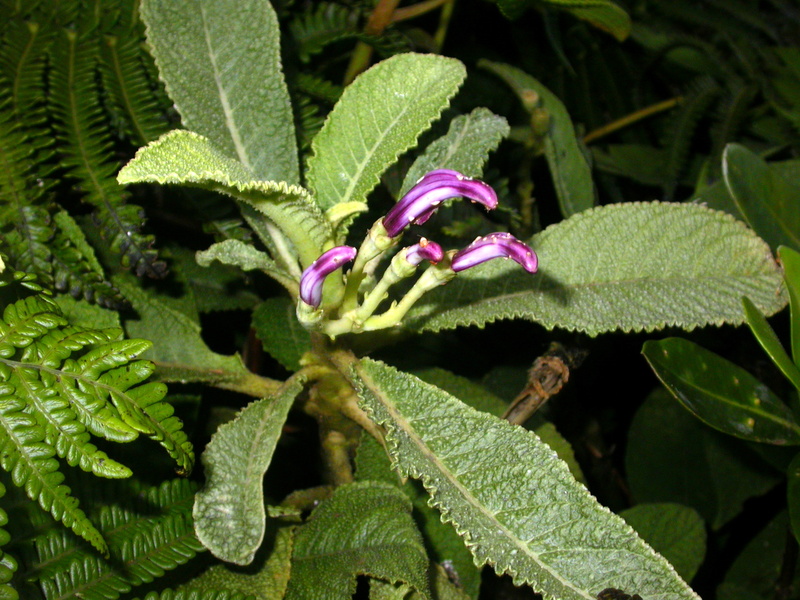 Hawai’i has lobelias that turn into trees, Patagonia has rodents that turned into antelope. Touche. These guys were fairly large too! By my reckoning 20-30 lbs. And just a few million years back, mara had much larger cousins. Josephoartigasia monesi may have weighed 2 tons! Imagine that, a rodent larger than a bull. Not your average mouse by any means. 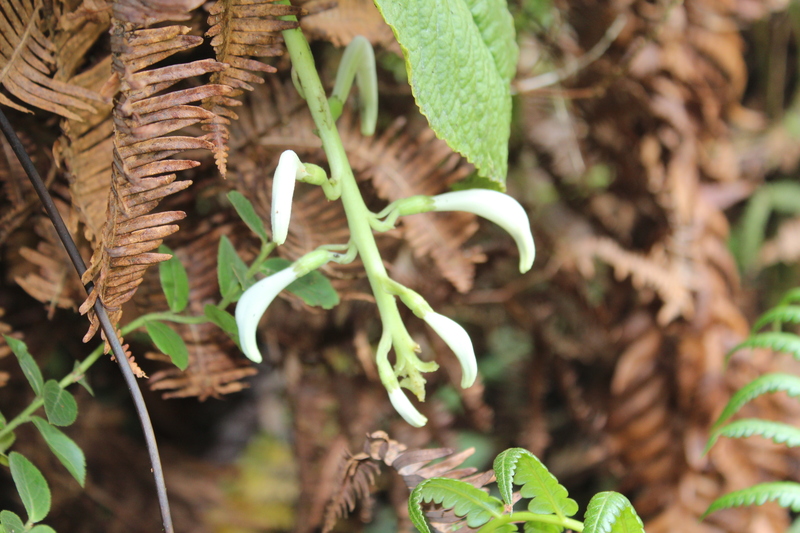 *Identification: Form– Stems woody, 1-3 m long. Leaves– elliptic to oblanceolate, blades 15-60 cm long, 5.5-14 cm wide, petiole 1-9 cm long. 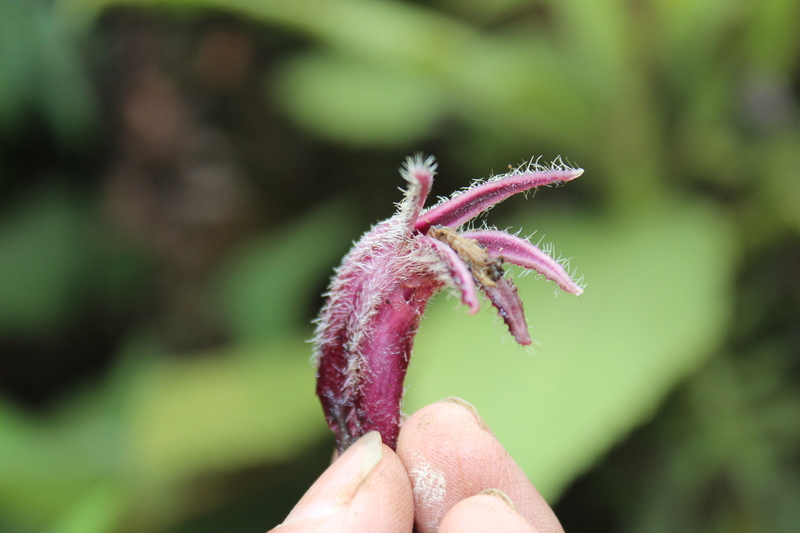 Flower– calyx lobes oblong to ovate, 4-10 mm long; corolla pubescent, 5-8 cm long. Phylogenetic comments: Cyanea calycina is part of the Rollandia radiation within the Acuminata clade. As far as I know it is still one big polytomy; it is not clear which former Rollandia spp. are more closely related to which. C. calycina itself was recently split from taxa now known as Cyanea lanceolata. Hopefully soon, we will have a better resolution of this part of the lobeliad tree. My notes: Holy smoking polymorphy batman! A few traits seem to be diagnostic ( calyx, leaf texture, etc.) but it seems like every thing else is up in the air. If you do a google image search for C. calycina, you’ll see just how variable this species is. I made it a point to monitor this little guy every few weeks. He rewarded me with some of the darkest, purest red flowers known in the taxa. 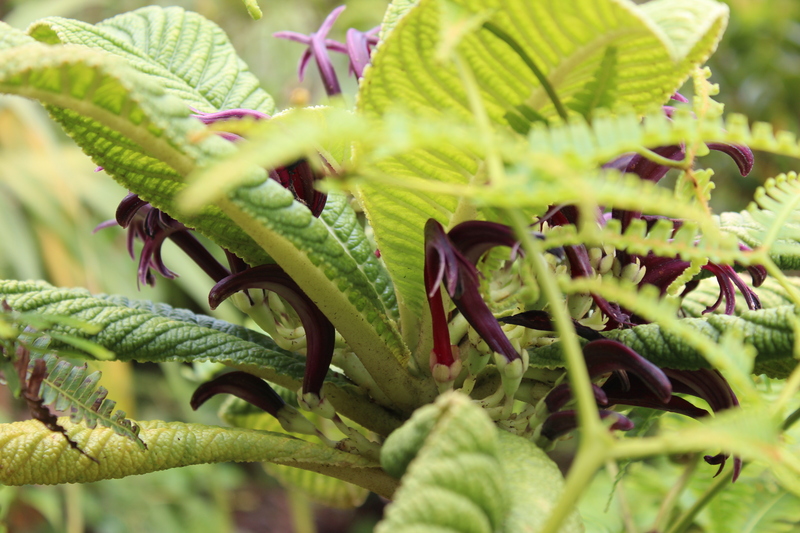 Cyanea calycina… Cyanea chicanery more like it! *Identification: Form– Branched shrub or tree, 1-7 m tall Leaves– elliptic to oblanceolate, blades 18-28 cm long, 2.5-5 cm wide, base attenuate into a winged petiole 2.5-8 cm long. 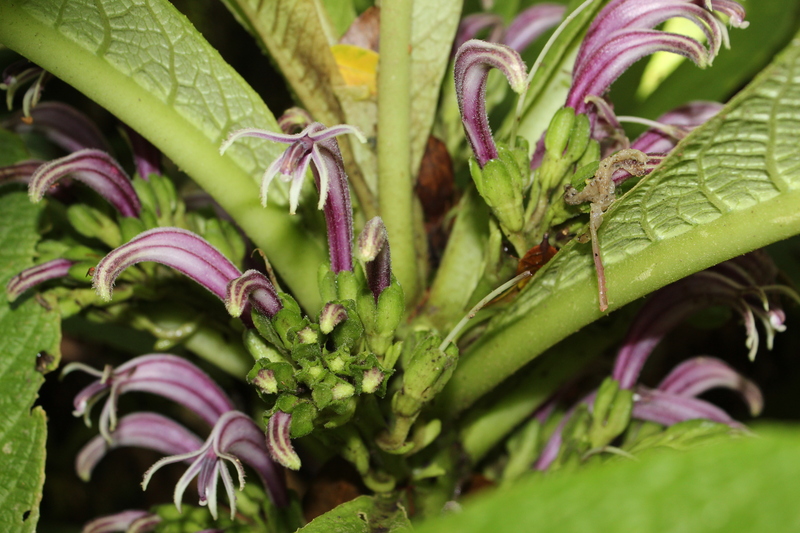 Flower– calyx lobes dentiform, 0.5-1 mm long; corolla purplish to blackish purple, 20-26 mm long, 23 mm wide. My notes: Limahuli Gardens is such a jewel on the north coast of Kaua’i; I really have to do a proper post on it one of these days. They have a nice representation of Hawaiian lobeliads, with Cyanea hardyi being one of the more prominent ones.